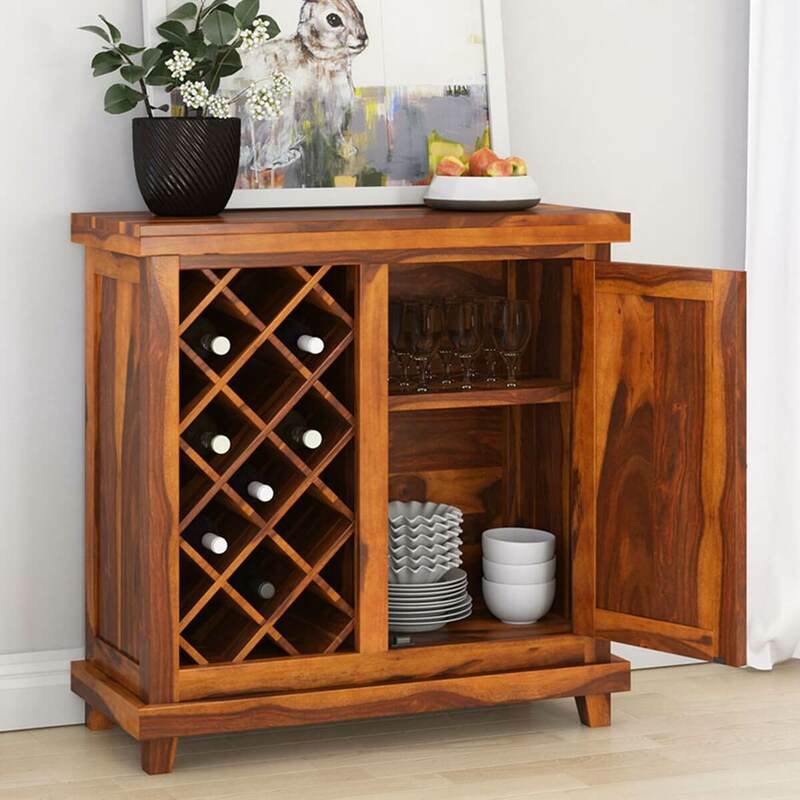 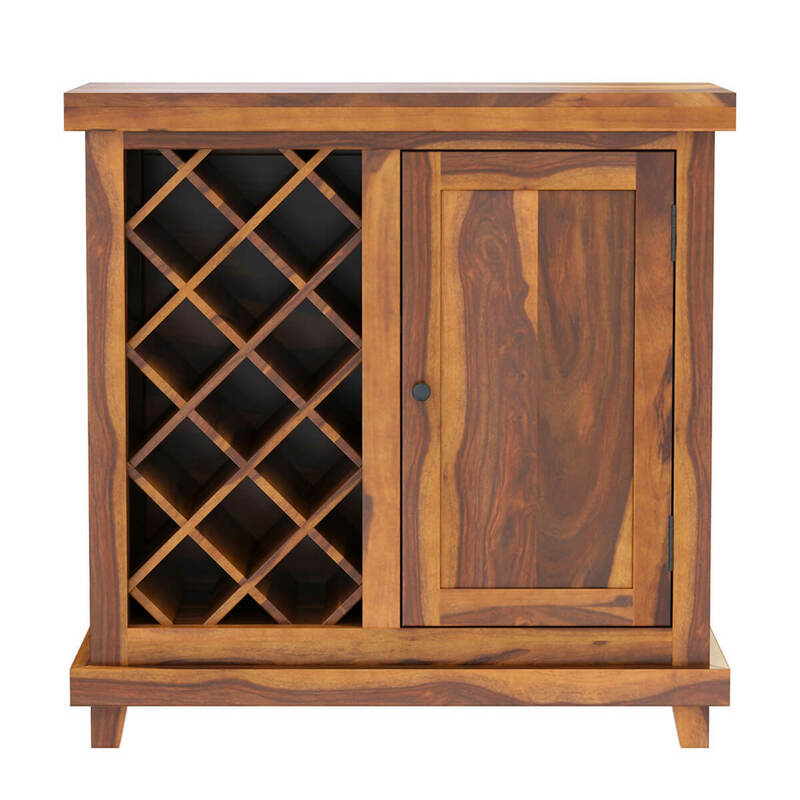 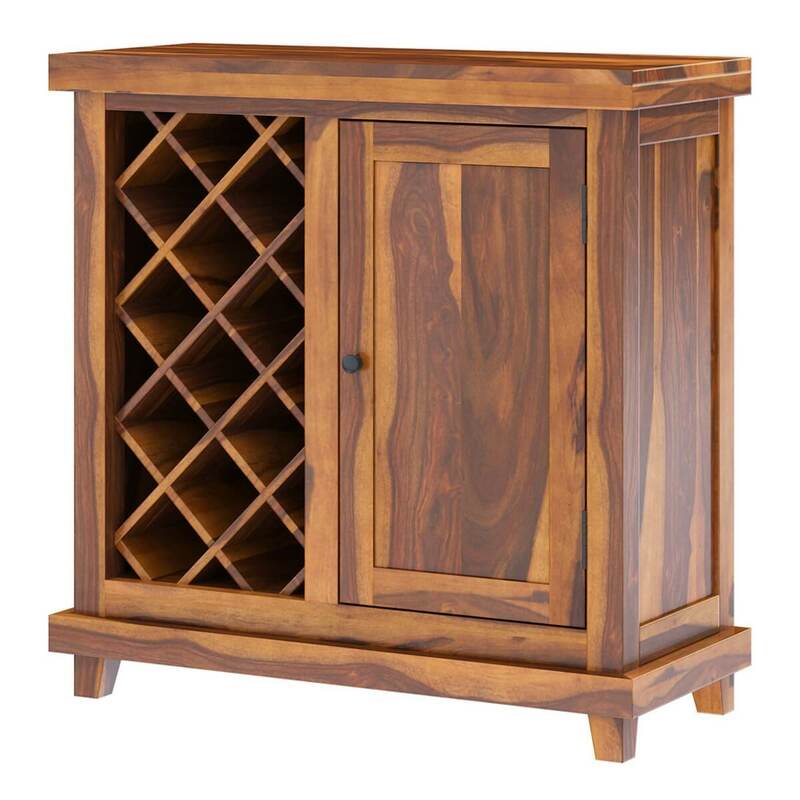 Display your notable wine collection with our Virginia Handcrafted Rustic Solid Wood Bar Cabinet with Wine Storage. 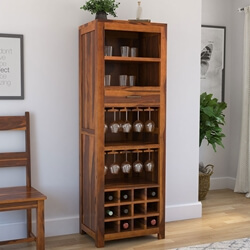 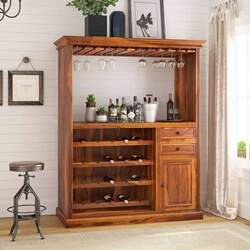 The wine bar cabinet stores up to 12 wine bottles in the rack while the handy one door cabinet with two shelves is perfect to tuck away glasses and other bar accessories. 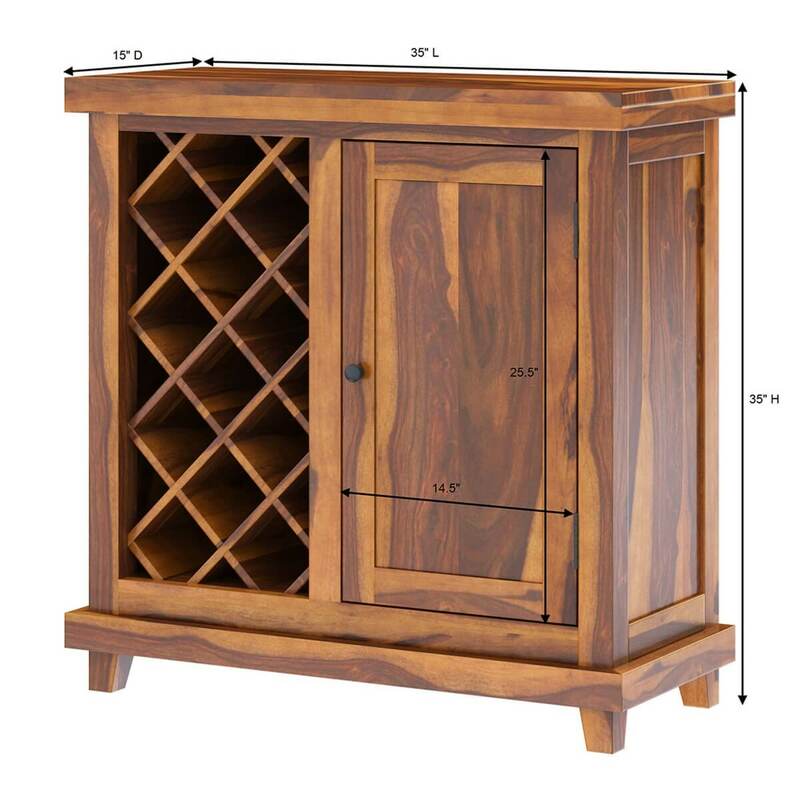 The top is perfect to keep drinks while you entertain your friends with your favorite wines. 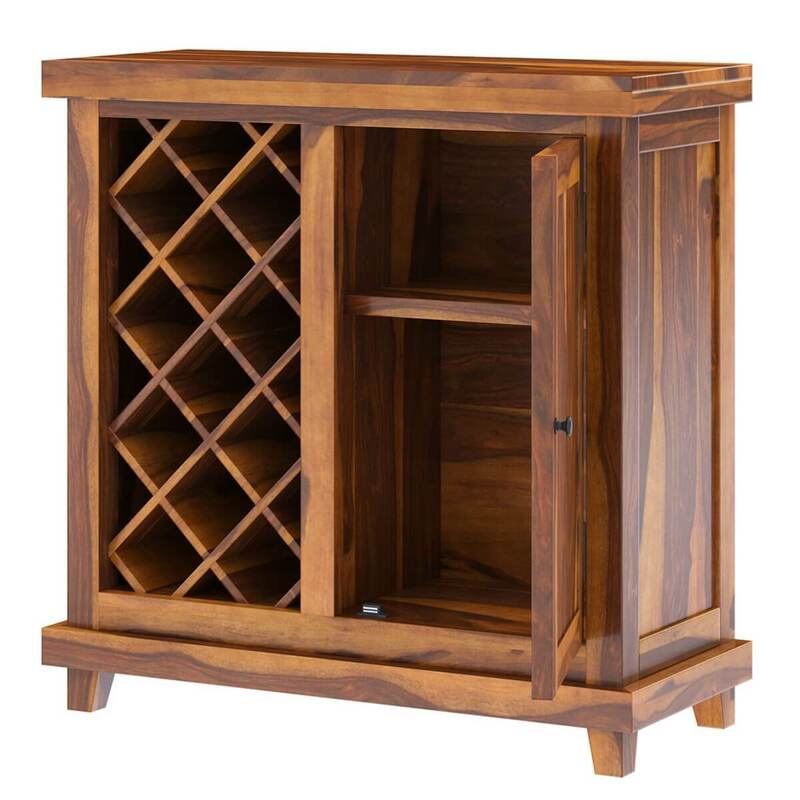 Handcrafted from solid Rosewood for sturdiness, this bar cabinet and rack will keep your bar area looking as beautiful as ever with its exquisite looks for many years. 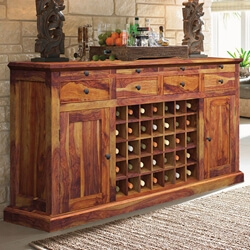 Its natural finish adds to its visual appeal, blending in a variety of room interiors. 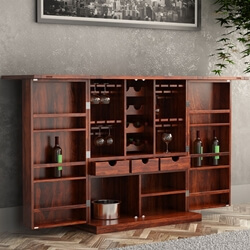 Materials: This brilliant wine bar cabinet and rack is made of solid Rosewood that makes it durable and exquisite in appearance.